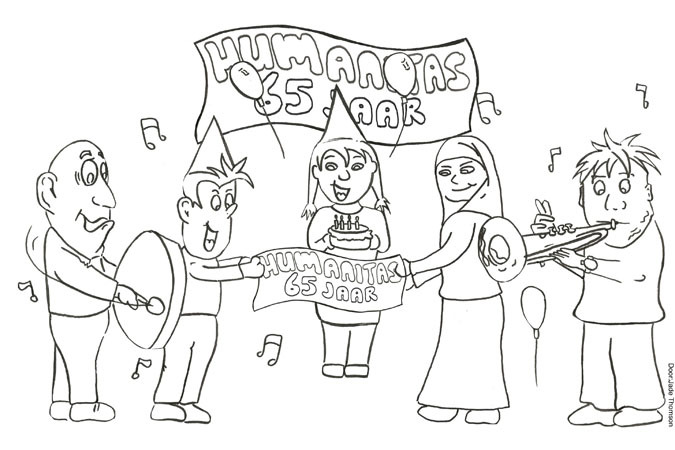 A coloring page for the 65th anniversary of Humanitas. During the celebration of the 65th anniversary children were invited to color the drawing. You can find the winning entry here.